With April here, the weather is going to be heating up very soon, and you likely won’t have much need for your heating system until next fall at the earliest. That’s why it’s very important to recognize the need for a repair call and to plan for it now. That gives you all the time in the world to properly treat the issue and get your system ready for fall. Ironically, repair calls tend to take place more often this time of the year than any other. Though short and mild, our winters can still take a toll on your heating system, and trouble usually arises after a few months of stress and strain have already taken their toll. You should never try to formally diagnose a problem with your heating system. That requires specific training and licensing (many components in your average heating system can be dangerous if damaged or mishandled). But that doesn’t mean you can’t spot the simple fact that your heater isn’t running the way it should, and take steps to correct the issue by calling in a professional heater. Luckily, there are a number of common symptoms that your heater is having problems that recur over multiple different issues. They often appear quite some time before the heater stops functioning, so you might have noticed then during the winter whenever you ran your heater. If you did – or you can spot them now, simply by turning your heater on and letting it run for 15-20 minutes. Low Heat Levels, or hot air that isn’t as warm as you might expect. It can be caused by anything from clogged burners to a breach in the ducts pulling in air form outside the system. Low Air Flow. A lack of air flow is usually caused by either a blockage in the ducts or a problem with the fan system. It’s particularly problematic because hot air usually remains stuck in the furnace, causing key components to overheat. Short Cycling. Short cycling is the process whereby the heater turns on, runs for a short period of time, and turns off again, only to repeat the cycle over and over throughout the day. It wastes a great deal of energy and can quickly lead to larger repair issues. Strange Noises. Strange noises can include anything that doesn’t normally correspond to the normal functioning of your system: hums, groans, clangs, whistles, or the like. Most of the time, those noises will match the starting and the stopping of the heating system. Higher Bills. Sometimes, the problem can announce itself simply by forcing the heater to consume more energy than it should. In those cases, you’ll notice by a surprising spike in your heating bills, perhaps over the whole winter. 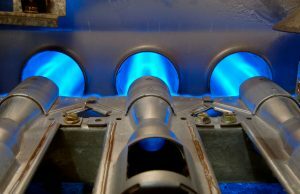 For La Puente, CA heating repair services, call on the experts at Greenleaf Heating & Cooling!